New Softwares.net, New Softwares.net, NewSoftware’s and New Softwares.net (“The Company”), adheres and self-certifies all its online transactions to the PCI Security Standards. New Softwares.net is committed to preserving the information you share with us. Towards that end, we actively self-assess, self-certify, and self-comply with the PCI Data Security Standard (PCI DSS). New Softwares.net works with third-party service providers as payment gateways for processing transactions on our behalf and ensure complete compliance with PCI DSS requirement 12.8. Moreover, New Softwares.net ensures adherence to PCI DSS requirement 3.3 and thereby implements controls such as Time-to-Live (TTL) or webpage “timeouts”, ensures that the New Softwares.net website or its third-party service providers use government-level 128-bit SSL-enabled transmissions to transmit cardholder data, ensuring the data is secured as it is entered and validated. New Softwares.net provides government-level SSL-based transmissions through third-party services like Plimus, BMTMicro, TrialPay and Regnow who use VeriSign® and McAfee®, the two big names in the industry as their digital certificate provider. More than 100,000 customers in over 150 countries trust VeriSign and McAfee® to secure online transactions and conduct business over the Internet. GlobalSign’s world-class SSL Certificates offer fast delivery and wide-spectrum authentication methods to maximize trust for New Softwares.net. Furthermore, New Softwares.net deployees GlobalSign® certificates, again 128-bit SSL encryption technology for connections to the user’s online backup account. New Softwares.net guarantees its encryption standards and ensures that no one can ever access user data without the correct password. Personal payment information such as Credit Card numbers, bank account information is routinely collected and passed on to our authorized payment processors, Plimus Inc., in order to make payments sanctioned by New Softwares.net Customers. Founded in 2001, Plimus is headquartered in California’s Silicon Valley. Plimus have close to a decade’s worth of proven experience in the e-commerce and payment fields and have consistently demonstrated high growth. We are proud to be regarded as one of the most innovative and effective business platforms in the world for online sales of digital products and services. If you have any further questions about privacy or security, please contact us by sending an email to: support@newsoftwares.net. “New Softwares.net” does not intend to transfer Personal Information without your consent to third parties who are not bound to act on New Softwares.net’ behalf, unless such transfer is legally required. Similarly, it is against New Softwares.net’ policy to sell Personal Information collected online without consent. Certain New Softwares.net’ Services work in collaboration with third parties that are governed by third-party licenses, which are contained hereinafter. Each of the third-party licenses applies only to (portions of) the Services in which the third-party license is contained or in which it is explicitly referenced. None of the third-party licenses applies to this Product as a whole, even when it uses terms such as “product”, “program”, or any other equivalent terms/phrases. This Product as a whole is governed by the New Softwares.net License. THE CONTENT AND ALL SERVICES AND PRODUCTS ASSOCIATED WITH NEWSOFTWARES.NET OR PROVIDED THROUGH THE SERVICE (WHETHER OR NOT SPONSORED) ARE PROVIDED TO YOU ON AN “AS-IS” AND “AS AVAILABLE” BASIS. NEWSOFTWARES MAKES NO REPRESENTATIONS OR WARRANTIES OF ANY KIND, EXPRESS OR IMPLIED, AS TO THE CONTENT OR OPERATION OF NEWSOFTWARES.NET OR OF THE SERVICE. YOU EXPRESSLY AGREE THAT YOUR USE OF THE SERVICE IS AT YOUR SOLE RISK. 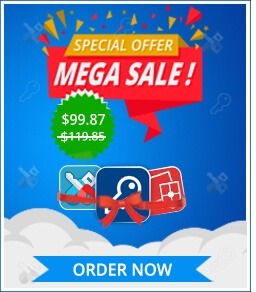 NEWSOFTWARES MAKES NO REPRESENTATIONS, WARRANTIES OR GUARANTEES, EXPRESS OR IMPLIED, REGARDING THE ACCURACY, RELIABILITY OR COMPLETENESS OF THE CONTENT ON NEWSOFTWARES.NET OR OF THE SERVICE (WHETHER OR NOT SPONSORED), AND EXPRESSLY DISCLAIMS ANY WARRANTIES OF NON-INFRINGEMENT OR FITNESS FOR A PARTICULAR PURPOSE. NEWSOFTWARES MAKES NO REPRESENTATION, WARRANTY OR GUARANTEE THAT THE CONTENT THAT MAY BE AVAILABLE THROUGH THE SERVICE IS FREE OF INFECTION FROM ANY VIRUSES OR OTHER CODE OR COMPUTER PROGRAMMING ROUTINES THAT CONTAIN CONTAMINATING OR DESTRUCTIVE PROPERTIES OR THAT ARE INTENDED TO DAMAGE, SURREPTITOUSLY INTERCEPT OR EXPROPRIATE ANY SYSTEM, DATA OR PERSONAL INFORMATION. New Softwares.net submits this statement of policy regarding HIPAA regulations and obligations. While HIPAA compliance is in part dependent on technology, HIPAA compliance is an overall organizational obligation that focuses on your procedural standards and procedural integrity (medical provider business practices). Therefore, HIPAA compliance for software solutions requires a combination of secure/private technology and compliant business practices. New Softwares.net provides clients with a software tool that is HIPAA-compliant from a technology standpoint as detailed below. However, technology by New Softwares.netis only half of the inquiry – how client users use software and solutions by New Softwares.net within their medical practices must also be addressed. New Softwares.net technology, security, and privacy policies comply with HIPAA standards, such as encryption (SSL), system-user identifiers (logins, passwords), multiple user access levels, high-end physical server security, nightly backups, strong privacy policies (not sharing information with anyone unless you direct us to), timed log out, strong internal policies (having employees sign strong privacy agreements), and much more. These are detailed on our website (www.newsoftwares.net) in the FAQ section and the Privacy section. Additional security and privacy safeguards can be enabled at the option of clients, such as user IP restrictions and forced interval password changes. In regard to business practices, New Softwares.net provides clients literally hundreds of preferences in defining how they want to set up and use the system in their day-to-day medical practices. This includes preferences concerning utilization of user access types, how backup files are run (through Excel Reports), when clients run their own offsite backups, how clients require users to login to the system – and many more business practice questions. All of these options and more potentially impact the business practices inquiry and the related obligations under HIPAA. Each “Covered Entity” must make its own determination of the system use and its overall impact on business practices.